I’ve been wanting to write this review for quite a long time, but I wanted to make sure I gave myself enough time to do justice to the products. One of my 2018 New Year’s Resolutions was to start to focus more on green beauty, and it was perfect timing when I got the chance to review some products from Dr. Roebucks, an Australian skincare brand that focuses on clean skincare. As I get older (34 here! ), my skin gets more demanding. It doesn’t heal as fast, it’s more sensitive to dry weather and to minor irritations like leaning my chin on my hand or even the foaming agent in my toothpaste. When I was younger I had the luxury of being able to try pretty much anything on my skin, no matter what the ingredients were, without lasting damage. I no longer have that luxury. These days, everything I put on my face has to COUNT. It has to be effective, nourishing, and moisturizing, without being irritating. It also needs to have the latest cutting-edge ingredients that are known to WORK. So Dr. Roebucks’ philosophy of “Minimum ingredients. Maximum results.” totally appeals to me. Fewer ingredients means less chance of something irritating my skin. The Dr. Roebucks’ range is based on nourishing oils and extracts that my skin seems to love. They don’t completely avoid synthetic ingredients, but they’re definitely used minimally. I’ve had the opportunity to sample a few products from the Dr. Roebucks skincare range and I’ll try to describe each below. I received these products free to review. There are some affiliate links in this post. But as always, you guys, these are my honest thoughts on these products. An authentic voice is the most important thing for a blogger. A lot of times people think that cream cleansers are for people with dry skin, but I have combination-dehydrated skin and I LOVE cream cleansers. In my experience, good cream cleansers can do JUST as good a job as foaming cleansers, but they can leave your skin more hydrated and less likely to feel tight or dry. A good cream cleanser should rinse clean and shouldn’t feel like it’s leaving residue on your face that is interfering with the rest of your skincare routine. I’ve certainly used cream cleansers in the past that left my face feeling greasy, but thankfully, the Dr. Roebucks CLEANSE is not one of them. The Dr. Roebucks CLEANSE creme cleanser feels like a rich, but runny lotion. You massage it over your face and rinse off with water. It has a lovely slippery texture when massaging it over your face and rinses off fully without feeling oily. It has a fresh lemon scent. Skin feels hydrated after using and absorbs subsequent skincare products without issues. I find that this is sufficient to remove light makeup, though I’d still prefer an oil cleanser for heavier makeup. Generally the ingredients are gentle with some fatty alcohols and lots of moisturizers. There are a few emulsifiers and surfactants in there (Ceteareth-20, Sodium Cocoyl Isethionate, Cocamidopropyl Betaine) that are quite gentle compared to harsh foaming agents like SLS. There are some concerns that Ceteareth-20 can irritate damaged or broken skin, however, and because the latter two surfactants are based on coconut, you should probably avoid them if you’re sensitive to coconut oil. I don’t find that this cleanser really foams, but these surfactants seem to help it to rinse off cleanly, similar to emulsifying oil cleansers. I find this to be a very gentle lotion cleanser that leaves my skin soft and hydrated. I find the Dr. Roebucks Ultimate Hydrating Serum and the Reverse Aging Serum to be quite similar so I’ll review and compare them together. Texturally, the Ultimate Hydrating Serum and the Reverse Aging Serum have very similar textures. They are both thick and a bit difficult to squeeze into the dropper due to their high viscosity. Both spread out easily on the skin. The difference is that I find the Ultimate Hydrating Serum forms a bit of a film on top of the skin, almost like a gel moisturizer. This isn’t a bad thing, in fact the film does help to keep the moisture in your skin, but if you are, like me, layering multiple serums, you’ll probably want to put this on last so that it doesn’t block other serums from absorbing. I also prefer to use this at night as I’ve found that during the day it can pill under my sunscreen and makeup. I do find that on nights that I use this serum, it does boost my hydration levels. The Reverse Aging Serum absorbs a little better than the Ultimate Hydrating Serum, and doesn’t leave as much of a film on the skin, so I prefer to use this in the day. I actually find this JUST as hydrating as the Ultimate Hydrating Serum, so if you are choosing just one, I would choose the Reverse Aging serum. It also feels slightly less thick. Both serums have a light citrus-herb scent. Water, Propanediol, Aloe Barbadensis Leaf Juice, Coco-Caprylate, Ascorbyl Glucoside, Creatine, Glycerin, Sodium Hyaluronate, Retinol, Carnosine, Palmitoyl Tetrapeptide-7, Ubiquinone, Palmitoyl Tripeptide-1, Niacinamide, Squalene, Tocopherol, Lecithin, Tocopheryl Acetate, Hydroxyethyl Acrylate/Sodium Acryloldimethyl Taurate Copolymer, Pentylene Glycol, Sodium Polyacrylate, Butylene Glycol, Sodium Hydroxide, Polysorbate 60, Sorbitan Isostearate, Polysorbate 20, Sodium Lactate, Carbomer, Potassium Phosphate, Ctric Acid, Sodium Benzoate, POtassium Sorbate, Helianthus Annuus (Sunflower) Seed Oil, Limonene, Linalool, Citral, Citrus Aurantium Bergamia (Bergamot) Fruit Oil, Linalyl Acetate, Alcohol, Benzyl Alcohol, Dehydroacetic Acid. Water, Propanediol, Aloe Barbadensis Leaf Juice, Coco-Caprylate, Ascorbyl Glucoside, Creatine Glycerin, Sodium Hyaluronate, Retinol, Carnosine, Palmitoyl Tetrapeptide-7, Spilanthes Acmella Flower Extract, Palmitoyl Tripeptide-1, Niacinamide, Squalene, Tocopherol, Lecithin, Tocopheryl Acetate, Hydroxyethyl Acrylate/Sodium, Acryloyldimethyl Taurate Copolymer, Pentylene Glycol, Sodium Polyacrylate, Butylene Glycol, Sodium Hydroxide, Polysorbate 60, Sorbitan Isostearate, Polysorbate 20, Sodium Lactate, Carbomer, Potassium Phosphate, Citric Acid, Sodium Benzoate, Potassium Sorbate, Helianthus Annuus (Sunflower) Seed Oil, Caprylic/Capric Triglyceride, Oenothera Biennis Oil, Borago Officinalis Seed Oil, Limonene, Linalool, Citral, Citrus Aurantuim Bergamia (Bergamot) Fruit Oil, Linalyl Acetate, Alcohol, Benzyl Alcohol, Dehydroacetic Acid. The two serums have VERY similar ingredient lists — again, just get one of the two serums if you’re debating them! I don’t love seeing propanediol so high up in the ingredients list — it’s a common ingredient but I’d prefer to have Aloe be the second ingredient or another natural moisturizer. These serums do pack a TON of effective anti-aging ingredients into them. retinol (or vitamin A) is a star anti-aging ingredient, but it does leave your skin susceptible to sun damage, so make sure you’re wearing your sunscreen! I think it’s important to look at the ingredient lists for these two serums. There are a LOT of active ingredients in each of them so take note if you have sensitivities. On these other hand, the ingredient lists are a dream team of anti-aging compounds! These serums seem more maximalist when it comes to anti-aging rather than minimalist. Again, not every ingredient is all-natural — there are a few synthetics in there, but I’m willing to overlook that personally for the amazing cocktail of anti-aging compounds included. Of the two, I liked the Reverse Aging Serum better, in all honesty. It absorbed better, well worth it to me for the extra $3. And finally, we come to the product that I feel best embodies the minimalist philosophy of the Dr. Roebucks brand, the FACE moisturizer. This is actually my second jar of the FACE moisturizer. It comes in a large jar, but I loved how it felt so much that I used it everywhere, including on dry parts of my body like my elbows and knees, meaning I needed to restock this sooner than regular moisturizers. The Dr. Roebucks FACE moisturizer has just 12 ingredients, yet they somehow managed to make a really lush but elegant-feeling moisturizer. It’s more of a medium-weight moisturizer so I think this would be best for combination to dry skin types. For my combination skin, this cream was a bit on the heavy side for the summer, but now in the winter, my face just soaks up all that nourishing goodness. This cream has a very light lavender scent. I love the minimalist ingredient list that has macadamia seed oil as the second ingredient! Maybe this is the secret to why my skin feels so happy and nourished with this cream. It also includes vitamin E, lavender oil, and rosehip oil. Again, not all the rest of the ingredients are all-natural, but they are pretty minimal, making it easier for you to determine if you’re sensitive to a particular ingredient. Dr. Roebucks products contain a lot of effective ingredients and their products are generally on the cleaner and more natural side. I think if you, like me, are transitioning to green beauty products, a brand like Dr. Roebucks is a good first step. Of all the products I tried, I fell in love with the Dr. Roebucks FACE moisturizer the most. It delivered the best on the promise of minimal ingredients and maximum results, and it’s a product that I reach for on a regular basis. Find these products on the Dr. Roebucks website. 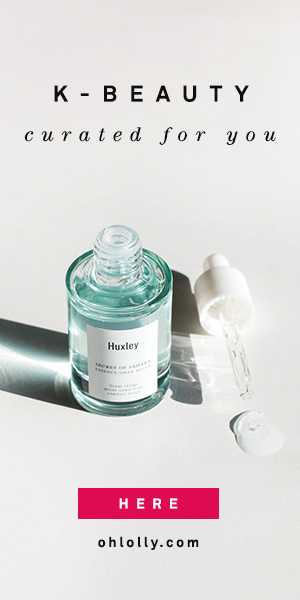 Do you like the concept of minimalist skincare? What ingredients do you look for in a “clean” beauty product? First of all, You don’t look 34 at all Camilla! But I get what you mean by your skin being more finicky and less resilient as you get older, as I definitely feel the same way, and it’s a big reason why I’m starting to embrace minimalist skincare more and more! I really like the concept behind Dr. Roebucks’ products, and it looks like they include some really great ingredients! I will have to add that moisturizer to my wishlist, as I can see it being something my skin will really enjoy. Thanks for the reviews! Yes, I always wonder whether some of the many ingredients in most skincare are doing more harm than good, so I’m making an effort to be more choosy! I loved your post where you describe how you stopped exfoliating! I actually think I overexfoliated my skin last month so I’m definitely babying it more! All of these sound amazing! Especially that cream cleanser… I firmly believe that finding the best cleanser for your skin sets the tone for the rest of your routine. I agree, cleansing is the foundation for your whole skincare routine! The ones that I am most interested in are the serums but how strange that the ingredient list between both are quite similar. I am still on a cleanser kick so the cleanser intrigues me too. I have a real soft spot for cream cleansers, especially if they rinse clean, so I really like the cleanser! I don’t think you can go wrong with it. It is interesting — I would have expected the hydrating serum to have a simpler ingredients list (especially with an ingredient like retinol which I imagine people who aren’t looking for anti-aging might not want)! I just tried the Dr. Roebuck Hydrating Moisturizer and I absolutely love it! I have combo skin and finding a moisturizer that doesn’t make me oily is often a challenge! Thanks for your review. I’m definitely going to check out other products from the line.